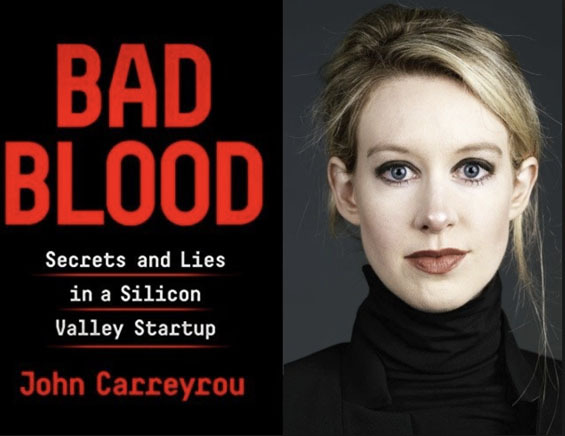 Bad Blood by John Carreyrou is a must-read book for every startup founder. It shows exactly what happens when an entrepreneur has no values. Theranos founder and CEO Elizabeth Holmes cared about nothing but herself and her image, and as a result, she was willing to betray everyone she came across. She hurt so many people in the process, jeopardized the lives of patients, squandered huge amounts of capital, and wound up with nothing to show for it. Don’t follow in her footsteps. Always put humanity above personal gain. This book also provides a vivid example of how not to manage employees. Holmes does absolutely everything wrong. She breaks all the rules, and that only hastens her downfall. Actually, if she had been a better manager, she may have pulled it off her dirty deeds. But she would never have made the world a better place. Her practices were corrupt to the core.